MTC announces new penalties for toll cheaters. Here's yet another reason to think twice before trying to speed through a toll booth without paying. The Metropolitan Transportation Commission says it is losing a boatload of money to toll skippers, so it is upping the stakes. Now, if a driver gets too many fines, the MTC will seize their vehicle. Right now, violators get a ticket in the mail if they are spotted speeding through a toll booth. It is $25 for a first time violation. $70 for the second one. After that, the MTC can put a hold on a driver's registration until the fine is paid. Trouble is, those fines are going unpaid. 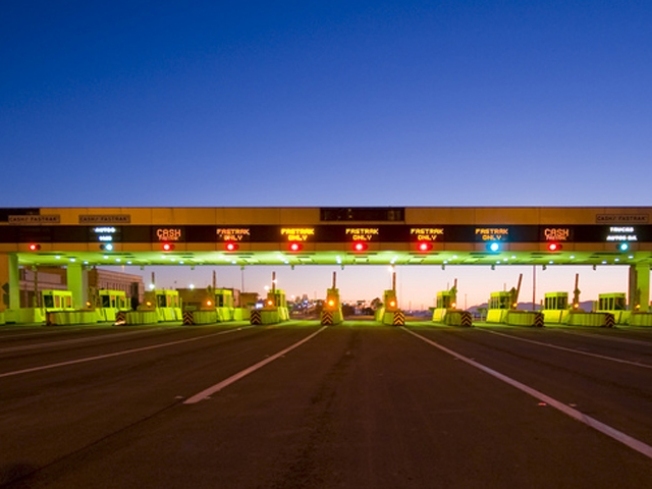 The MTC says it has lost $14 million in unpaid tolls and fines. About 800 drivers in the Bay Area are repeat offenders with an average of 66 violations each. That totals more than $5,000 in violations and fines per driver. The MTC manages the area's seven regional bridges except for the Golden Gate Bridge.